Whenever you write something, it will always be written with a particular point of view or perspective, even if it is not written in terms of your opinion. Generally, there are three points of view: third person point of view, second person point of view and first person point of view. Depending on what you’re writing as well as the article's tone, a particular point of view will be used. This article discusses each type of point of view and lets you know when to use each one. For a bit of fun, we will use popular movie quotes to help illustrate the differences! We will start with the third person point of view, which is the most commonly used point of view, and finish with the second person point of view, which is the least commonly used point of view. Third person point of view is best used for research papers, biographies and essays. This is due to the fact that the third person point of view allows the writer to distance himself or herself, allowing for a more objective tone, which is ideal for presenting facts or arguments. The advantage of using the third person point of view is that it will make the written piece have a more professional tone with the objective perspective. It sounds as if the writer is explaining objective facts rather than opinions or personal feelings. Therefore, when compared to second person and first person points of view, the third person point of view provides the maximum amount of “distance” between the reader and writer. The disadvantage of using the third person point of view is that it does not allow the reader to relate to the main character as effectively as possible. Use of the first person point of view such as “I” allows the reader to more effectively feel like they are immersed into the story. The first person point of view is ideal for writing autobiographies, personal essays, and other written pieces where the writer is wanted to be involved in what is being written. The advantage of using the first person point of view is that it allows the writing to have a more subjective and personal tone. It also gives the writer the power to show information in ways that allow the author to withhold information from the reader. The first person point of view also provides the writer an opportunity to convey internal information. In other words, by using the first person perspective, the writer can more effectively let the reader “inside the head” of the author. This perspective allows the reader to more easily identify with the author and see the author’s perspective of what is going on in the writing. The disadvantage of the first person point of view is that it limits the writer to just her or his point of view. This may limit the writer’s ability to convey information or tell the story. Another disadvantage is that it is very easy to have the author become the main character or even primary subject of the writing, even if the author does not intend to do this. This is a common mistake that less experienced writers make when using the first person point of view. Generally speaking, the second person point of view is not commonly used for fiction like the first person and third person points of view. However, an ideal context for using the second person point of view is for non-fiction writings, such as self-help books, guidebooks and how-to manuals. It is also a great point of view for writing in games, such as RPGs and advertising. The biggest advantage to using the second person point of view instead of the first or third person points of view is that the reader is most easily able to connect with the story. First person allows the reader to connect with the writer, but second person allows the reader to become immersed in what is being written. The reader feels like she or he is a part of the story, rather than just being told what's going on. 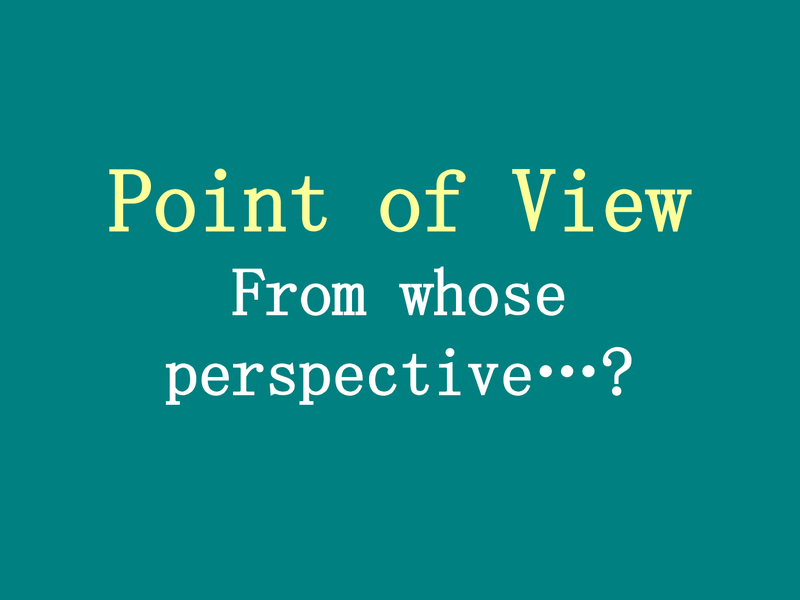 As a result, the second person point of view gives the reader a perspective of the action or characters in the writing that the other two points of view cannot do. The biggest advantage of the second person point of view is also its biggest disadvantage. Just as the second person point of view can effectively immerse the reader in the story, if it is used too often or improperly in a novel, it can make the reader feel disconnected from what is going on. By using the second person point of view, the reader is more likely to feel like they are being told what is going on, rather than shown what is going on.